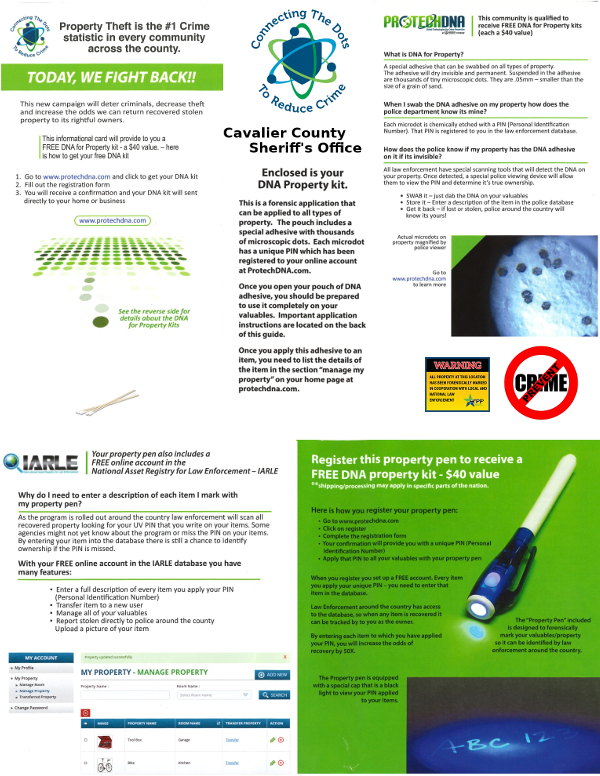 Cavalier County Sheriff's Office and ProtechDNA are teaming up to provide the cititzens of Cavalier County with a free DNA Property Kit that you can use to mark your valuable items. If your marked item becomes stolen in the future and than recovered, Law Enforcement can scan recovered items, find your item and get it returned to you. You will also have an online account where you can manage your items that you marked. Videos explaining more on how it work are Connect the Dots and IARLE Click on the image below to download/view/print the pdf.